LocationHomeCommunity News & EventsEat More Chocolate! It’s February, what else are you going to do? The weather’s not looking so hot (literally) for this weekend so you might as well indulge yourself, tis the season! The 13th Annual Carolina Chocolate Festival is February 7th and 8th at the Crystal Coast Civic Center where they will be celebrating all things chocolate for some worthy causes. They even have a chocolate spa….umm, yes please! 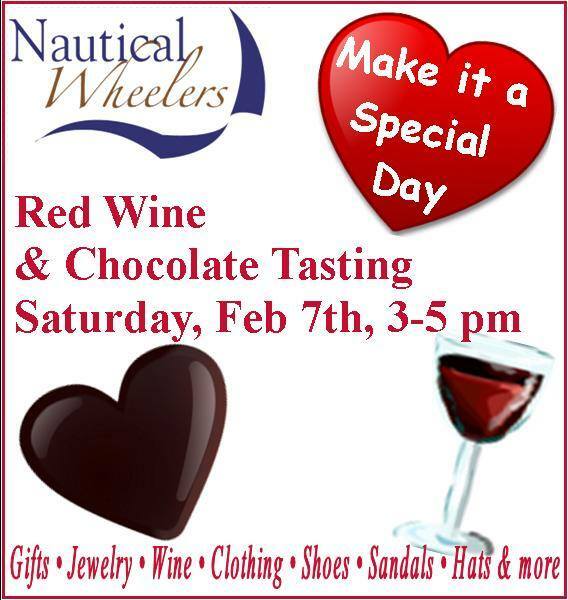 And this Saturday at Nautical Wheelers, one of our favorite shops in Oriental, is their monthly wine tasting with pairings of, you guessed it….CHOCOLATE. I’m a firm believer that the only thing better than chocolate, is red wine with chocolate….such a delicious combination!